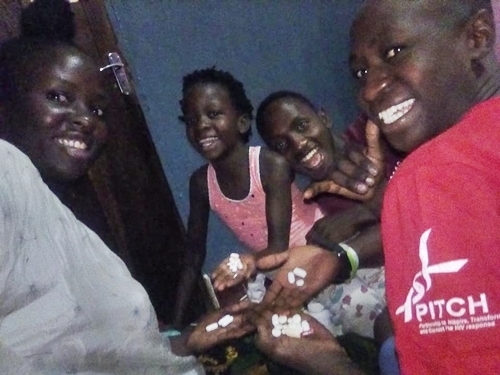 A Facebook user identified as Barbara Kemigisa, who is a HIV positive mother-of-three, has taken to the social networking platform to show off her children who are all living with the Human Immunodeficiency Virus. In the post which has since gone viral online, the woman used the opportunity to advise people about staying safe, and revealed that her three kids are all living with the virus. She also noted that they all take their pills to stay healthy daily. 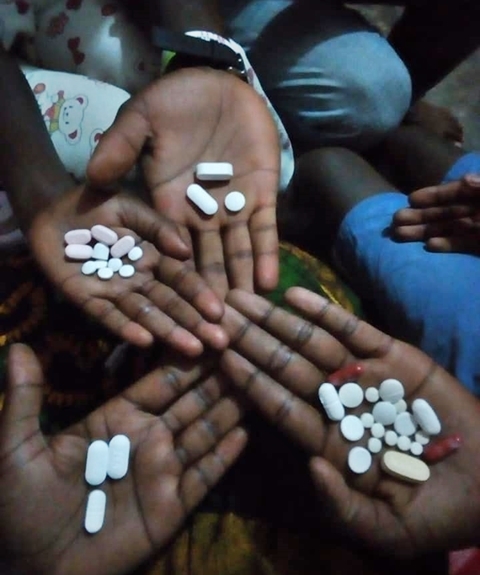 The woman revealed that her 9-year-old daughter, Kourtney takes eleven tablets, her 17-year-old son, Trevor takes twenty tablets and her son, Dauglas who is 22-years-old takes three tablets, while the 32-year-old mother herself, takes three tablets daily. 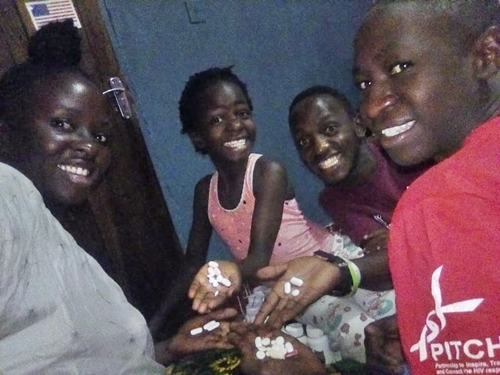 Barbara who revealed that it is not fun to swallow pills everyday, told people to stay safe for their kids who might be born with the disease if they don't stay safe. "My babies and I displaying our burden of living with HIV. Kourtney 9years 11 tablets, Trevor 17 years 20 tablets, Dauglas 22 years 3 tablets, Barbara 32 years 3 tablets daily. "If you still have a chance and choice to stay safe, please do because it isn't fun swallowing these pills everyday especially for the kids born with the virus."